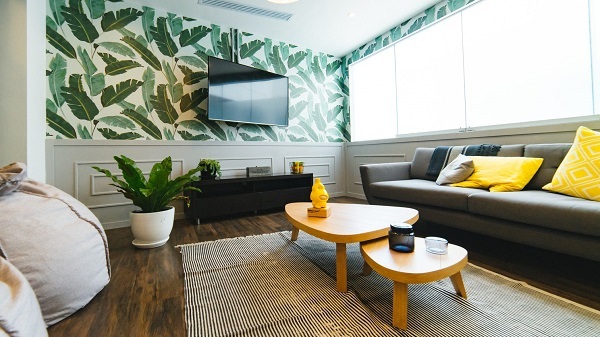 One of the biggest mistakes homeowners make when designing their living room is sticking to fashion trends too much. This means that they are sacrificing comfortability and personality for the sake of being in vogue, which is the wrong way to go. Yes, you need to know what is in and what is out at the moment but this does not mean that you should copy these designs verbatim. They should be adjusted to your house, in particular, so they best fit your needs and wishes and not the other way around. Otherwise, you will become just another fashion drone deprived of originality that lies at the core of living room design. In order to develop a unique style, here are some of the trendy design ideas for you to work with, coupled with several fashion “no-nos” to stay away from. A room with plenty of natural light inside is not a new thing, as scientists have proven that bright light is necessary for our brain to function normally. That is why large windows are always popular both in commercial and residential buildings. 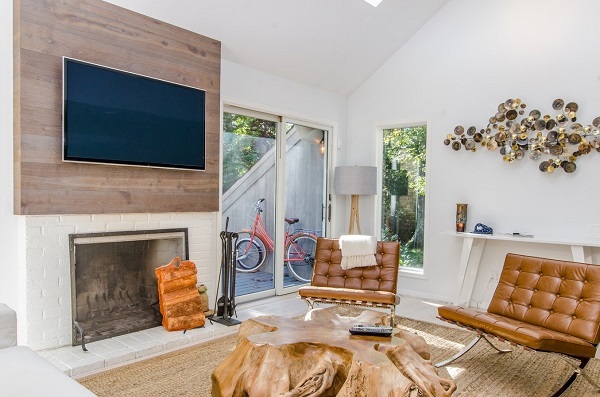 Unlike the bedroom where shutters are always down, the living room is the space that needs the most light because you spend the vast majority of your free time inside it. 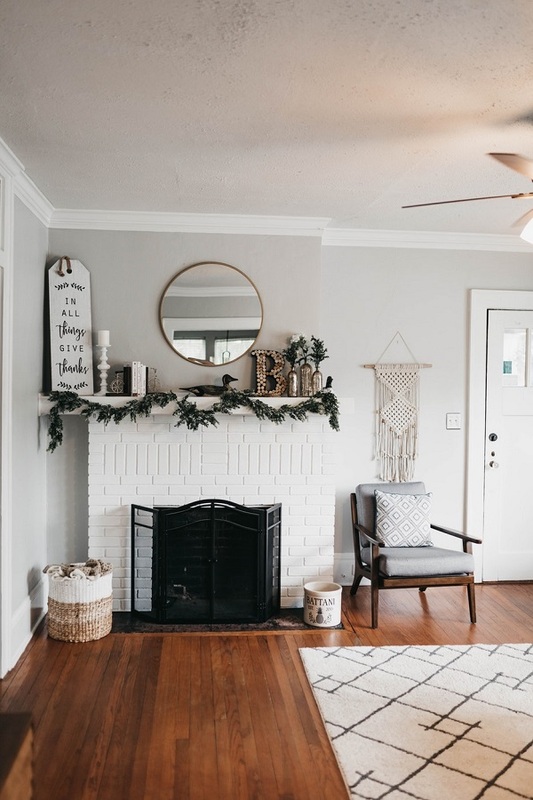 However, size is not everything, as modern interior design states that the walls of the living room need to be painted white in order to maximize the use of light that gets inside. This way, the sunlight that gets into the room will be reflected off bright surfaces to illuminate the entire room. This is especially useful at dusk when the visibility level drops significantly and you need to turn on the electric light. Another design element related to natural light inside the living room is nature itself. Yes, you are going to make this room appear as natural as possible by introducing various features. 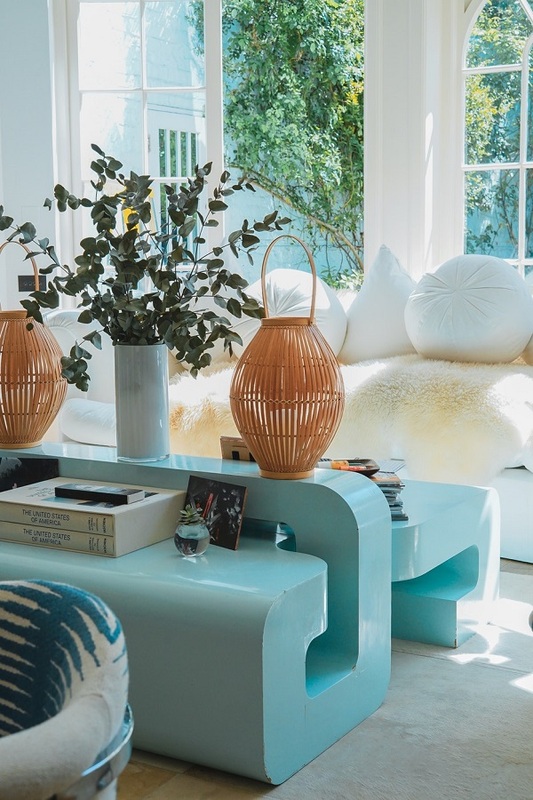 Firstly, don’t use furniture pieces that are brightly colored or too bold in their design, as classic furniture is ideal for getting that outdoor atmosphere. Furthermore, you can place hardwood floors inside the living room as they are easy to maintain. In most cases, all you’re going to need is a broom and an occasional sweep to keep the whole place clean. Also, wooden features could be inconspicuously placed around the entire living room. For instance, firewood can be neatly arranged by the fireplace and all the doorknobs and handles can be made from polished wood. Finally, the design feature that will really help bring in the outdoors in the living room are plants and/or flowers. They can be introduced in various forms, places, and arrangements, which all depend on how inventive you are. 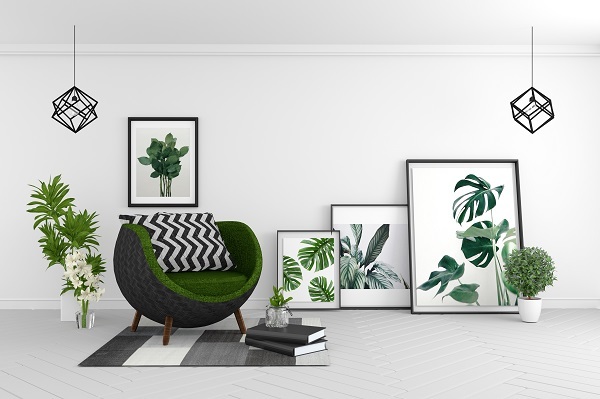 A potted philodendron in the corner of the room or a row of flowers pots at the window sill are the most common ways in which homeowners introduce plant life to their living rooms. However, you can use the coffee table as the base for a small pot of an unusual plant, like any of the fern species. This is something that not many homes have, so it can be a unique interior décor piece. If you are bold enough, you can turn an entire wall of the living room into a green wall! The main concern with this designer solution is upkeep, so you can always resort to plastic climbers. Apart from regulating the amount of light that gets inside the living room, you also need to make sure that fresh air circulates throughout the room. While you can install windows awnings like the ones made by Oztech in order to stop the light from getting inside, it is much harder to regulate air flow through the use of windows. Opening all doors and windows to create a draft is not a design solution from this century, so you’ll need some high tech help. AC units are the most obvious choice as they have a duct that sources fresh air from the outside. This is known to most people but what they usually forget in terms of design, is not to leave the AC’s casing as it was when it arrived from the store. Namely, you can use stickers to adjust the outside look of the air-conditioning unit to the décor of the living room. Just be careful not to place any stickers over moveable parts and exhausts. Like we stated earlier, the living room is the most important room in the house and it presents its focal point. The center of the house has a center of its own, as the area between the sofa, the armchairs, and the coffee table is the dead center of the living room. If this area is crammed with not enough space to move around, then your living room is poorly designed. Just like the halls of kings in medieval times, what you need in the center of the living room is open space. Regardless of how small your living quarters are, you can always add extra leg room in the center of the living because stateliness is always in when it comes to interior design since it conveys opulence. Finally, attaining that stylish living room décor you are aiming for is really combining all the listed elements. Air, light, and nature go well together, that one could not be imagined without another. Also, stay clear of décor solutions that are so 20th century and you’ll have a relaxing living room space in no time.